England star John Stones has split from his childhood sweetheart girlfriend and mother to his 18-month-old daughter, it can be revealed. The 24-year-old moved out of his stunning Cheshire mansion shortly before Christmas to live in a bachelor flat in Manchester. His partner Millie Savage has remained at the house which he bought two years ago to prove his devotion after allegedly being caught cheating on her with a two month affair. Millie’s mother Mandy, 51, broke down in tears when asked about her daughter’s split from the footballer. ‘We are absolutely devastated. John was like another son to us,’ said Mandy. Millie, 24, is said said to have spoken with lawyers about the split. She has maintained custody of their daughter. Family friends told MailOnline the break-up has left the Savage family heartbroken. ‘It is like they are grieving for a lost son,’ said a friend. The family friend said they were not aware why Stones had decided to end the relationship. He moved out of the family home in December and had been staying at a serviced apartment a short distance from Manchester City Ethiad ground where other players including Leroy Sane have an apartment. 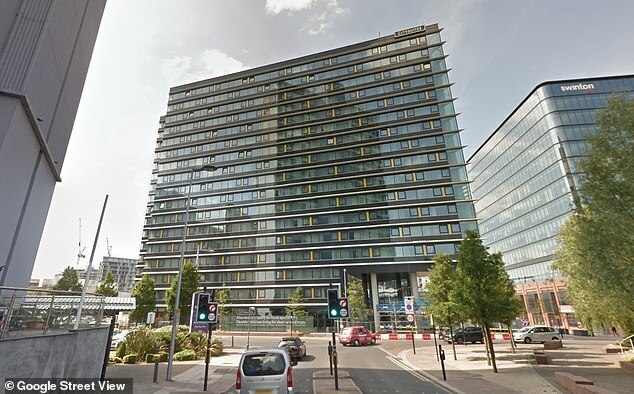 Stones moved out of the family home in December and had been staying at a serviced apartment (pictured) a short distance from Manchester City Ethiad ground where other players including Leroy Sane have an apartment. Stones is also reported to have begun a course of treatment to have a tattoo of Millie’s face laser removed from his arm — signalling the split is permanent. 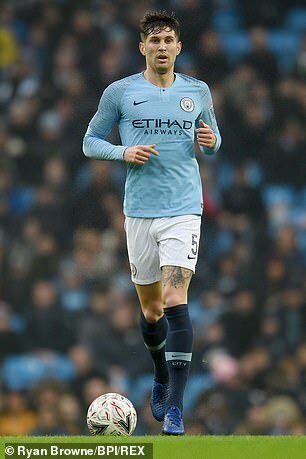 Stones had the tattoo inked on his arm in 2017 to prove his loyalty to Millie after he was alleged to have had an affair with events manager Jessica Peaty. The couple were said to have been together for two months with the friendship beginning in the summer of 2016 when Stones joined Manchester City for 47.5m from Premiership rivals Everton. Jessica claimed she did not know Stones was a footballer and was unaware he had a long-term girlfriend. She told the Daily Star Sunday that their friendship began after he asked for her telephone number when they met at a restaurant in Hale, Cheshire. Jessica said she would visit Stones at his suite in the Lowry Hotel in Manchester – the same hotel where Jose Mourinho lived for over two years while manager of Manchester United until he was sacked. The 23-year-old said Stones told her he was no longer with Millie, but 10 weeks into their affair she heard him saying ‘I love you’ to someone on his mobile phone while at her home. Jessica checked with friends who told her Stones was still with Millie who he first met when they were 12 years old and at the same grammar school in her home village of Penistone, near Sheffield. According to Jessica she confronted Stones and he denied he was still with Millie. But unconvinced she contacted his girlfriend on Instagram. She wrote: ‘I’m really sorry to have to get in touch with you like this as I assume you will have no idea who I am. Jessica said Millie called and the pair chatted and afterwards he ended the relationship with Stones. She said:’I do feel bad for Millie, it’s an awful situation to be in, but I can’t have sympathy for her if she chooses to stay with him. Stones has never made any comment about the alleged affair. Millie is said to have forgiven her long term boyfriend and last year the couple welcomed their first child, a girl. As a way of showing his loyalty Stones got the tattoo of Millie on his right arm. And in February 2017 he splashed out #3.4m on a mansion set in two acres of land in the village of Knutsford, Cheshire. The gated, state of the art mansion includes a home cinema, games centre with a full-size pool table. There’s also under-floor heating, a gym, a triple garage, and a private first-floor apartment for visitors. There are six bedrooms and five bathrooms and a sauna as part of the built in leisure centre. Friends of Millie’s parents said they spent most of their days at the house which is an hours drive from their home in Penistone. It was in the small town that Stones and Millie first met when they attended Penistone Grammar School. Although they were first introduced aged 12 years old it wasn’t until they were 15 that they began dating and Millie has supported him on his rise to fame. Stones began his football career at his local club Barnsley and at 6ft 2in was a natural defender. He signed his first professional contract with the club in December 2011 and made his first-team debut on 17th of March 2012. After a string of impressive performances and recommendations to scouts, Stones signed for Everton for around £3 million in January 2013. The figure meant Stones became the world’s second most expensive defender in history, behind Chelsea defender David Luiz. During last year’s World Cup in Russia Stones was one of the standout players in Gareth Southgate’s team and helped them reach the semi-finals. 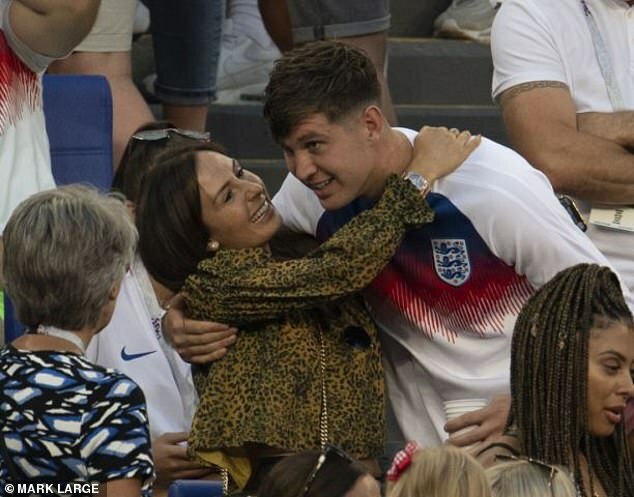 Millie travelled to Russia with their baby daughter to cheer on the team and was in the stands to console him after the semi final defeat to Croatia. She has long been considered one of the low key football WAGs compared to others like Jamie Vardy’s wife Rebekah who document their life on social media. Millie doesn’t have a social media account and lives a low key life with her daughter at the Knutsford mansion where her parents were frequent visitors. Her mum Mandy would often babysit for the couple when she and Stones attended functions in Manchester.